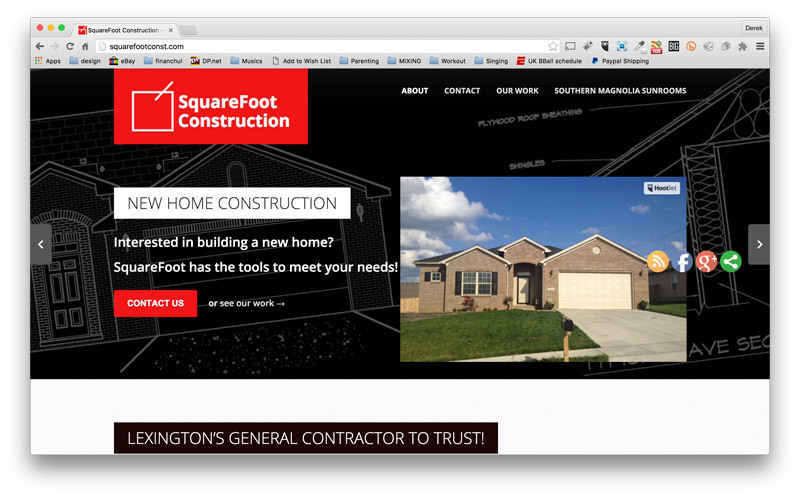 This general contractor reached out to me to help establish their online presence with a new construction website design. The business owner had over four decades of experience. He needed a designer who could get things done efficiently and listen to all of his needs. He outlined his vision to me in a series of face to face meetings, then we went to work. SquareFoot Construction specializes in whole house remodeling here in Lexington, Kentucky, as well as the surrounding region. They are also experts in the field of new home construction. In addition, SquareFoot have also established a very popular sunroom brand. Since they had built a variety of homes and additions, they needed an attractive, accessible outlet to showcase their portfolio. SquareFoot Construction provided me with actual blueprints used for their homes, amongst their other photos and documents. I used the blueprints to spice things up as background images for the slider at the top. The “Our Work” portfolio section features a series of photo lightbox galleries. These display “before and after” photos of their work, as well as the stories of how the jobs were done. A floating widget with the links to the business’ social media accounts stays on the screen as users scroll down. It is often necessary for a business owner to show clients examples of work while out in the field. Also, it may not always be convenient to carry a laptop along with you. Therefore, this responsive construction website design is a must. It condenses down perfectly for smartphone or tablet viewing. 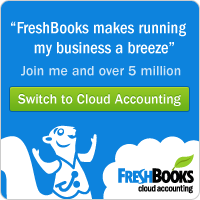 Users can access content both quickly and easily. Check out the SquareFootConst.com site here. Are you a builder needing a fresh web design to show off your skills? Contact me today.